Nice start, Clare! Since much of our discussions have been predicated on the realization that our ads may tell us more about slaveholders’ perceptions and language than about runaways themselves (given our smallish sample, our awareness that many kinds of runaways wouldn’t get ads, etc. ), you may want to use this essay to convey that. 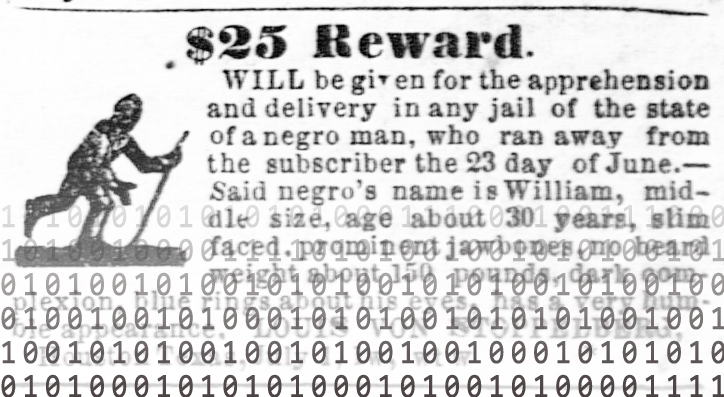 It could serve as a segue into introducing the text mining that we are doing, which focuses more on slaveholders’ language.